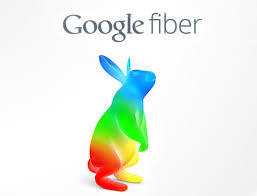 150x Faster than its Competitors, Google Fiber Zooms to Austin! Austin, Texas is known as a creative hub of musicians, artists, and techies, and is home of the University of Texas. Its habitants are always on the move and eager to take on new experiences, like the food trucks or Pedi-cabs! It’s no wonder why Google named Austin as one of the first cities for implementation of its new fiber-optic Internet Service, Google Fiber. Google’s goal is to integrate home internet service with mobile cellular service as a Mobile Virtual Network Operator (MVNO) that will span across the area giving public institutions like schools, libraries, hospitals, and other non-profit organizations selected by the city, up to a Gigabit (that is about 1000Mbps) of bandwidth for free and will be coined as a ‘Community Connection.’ Small businesses will have the opportunity to take advantage of the affordable high-speed service in 2014 before it will finally be released to Austin’s residents mid-2014. What does this amount of bandwidth offered by Google Fiber mean for the existing Internet Service Providers (ISPs) like Time Warner Cable and AT&T that offer 15Mbps as a standard bandwidth? Well, they seem to be lowering their prices and upping their standard bandwidth in an attempt to retain their existing customers, as well as make a point to commit other Austin residents to their service before Google Fiber hits the local market. Google Fiber is being laid down in Austin, unlike Provo (another chosen area for Google Fiber implementation), where they purchased an existing fiber-optic network that needed upgrading. Not only is Google’s implementation of such a high bandwidth in the community a kind of self-serving cause from a business standpoint, but it is also pushing growth and endorses the future of technology, ultimately benefiting us as a society. This carefully planned implementation of new Google Fiber in the Austin-area fills the residents with feelings of excitement and anticipation, leaving us in Dallas wondering when it will come our way!